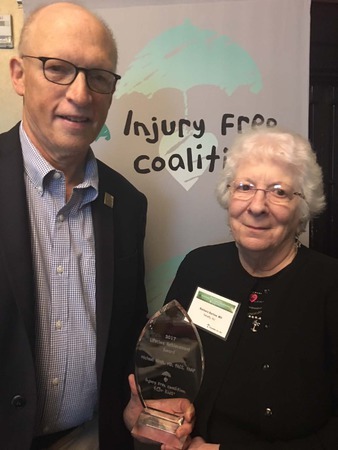 (Ft. Lauderdale FL, December 3, 2017) During Forging New Frontiers, the annual conference of the Injury Free Coalition for Kids this week, Michael P. Hirsh, MD, FACS, FAAP received The Coalition’s Lifetime Achievement Award recognizing his 30 years of work in the field of Injury Prevention. The Professor of Surgery and Pediatrics at UMass Medical School and Surgeon-in Chief of the UMass Memorial Children’s Medical Center in Worcester, MA. is also Division Chief of Pediatric Surgery and Trauma and Associate Surgical Director of the Trauma Center and Pediatric Intensive Care Unit.